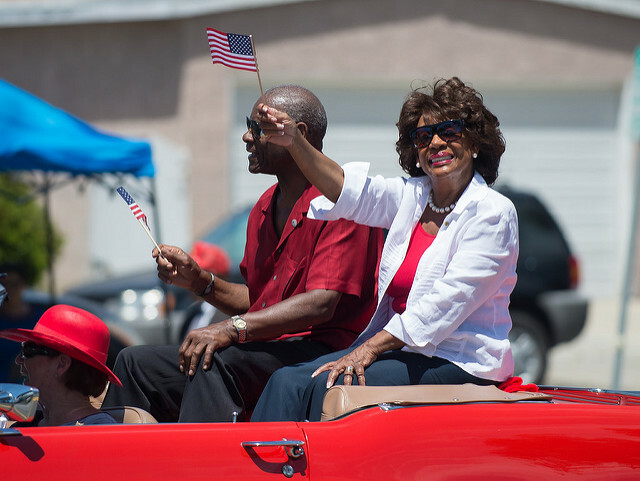 Congresswoman Maxine Waters (D-Calif.) will be the recipient of the NAACP Chairman’s Award, according to an announcement on Feb. 8, 2019. The prestigious award is given to individuals who are role models in public service and create change. Leon W. Russell, Chairman of the NAACP National Board of Directors, announced he would be honored to present the award to Waters. She is considered to be an inspiration and one of the most dominant and influential women in politics. Water’s 43 years as a public servant first in the State Assembly of California and presently in the U.S. House of Representatives, have benefited United States citizens. He ended by saying that Waters is a warrior and a queen. She continues to stand tall despite the assaults on African Americans and individuals of color. She should be saluted and her legacy. Past honorees of the NAACP Chairman’s Award include Senator Barack Obama, former Vice President Al Gore, former Surgeon General Regina Benjamin, The Neville Brothers, Ruby Dee, Tyler Perry, William Lucy, Bono, Danny Glover, Dr. Wangari Muta Maathai, TV One founder and Chairman Cathy Hughes, U.S. Navy Vice Admiral Michele Howard,Dr. Charles J. Ogletree, Jr., Jussie Smollett, Rev. Dr. Jamal Harrison Bryant, Rev. Dr. Howard-John Wesley, Rev. Dr. Otis Moss III, University of Mississippi NAACP College Chapter, University of Missouri Concerned Student 1950 Collective, Justice League NYC, and Brittany “Bree” Newsome. While in public service, Waters never shied away from controversial issues and has been known as being cutting edge. In the 1980s, Waters founded Project Build, an organization that helps Los Angeles young people in housing developments obtain job training and placement. After the Los Angeles civil unrest in 1992, Congresswoman Waters was the spokesperson who described the despair and hopelessness of the time. Waters is the co-founder of the Black Woman’s forum, a nonprofit organization in Los Angeles consisting of over 1,200 African Amerian women. The Congresswoman has been known for her advocacy for human rights, justice, and international peace. Before becoming a member of Congress, she was a leader in the movement to establish a South African democracy and to end Apartheid. In 1998, Waters helped develop the Minority AIDS Initiative to address the alarming rate of HIV/AIDS infections among Hispanics, African American, and other minorities. With Waters at the helm, funding for the initiative increased from $156 million in 1999 to $400 million in 2018. Waters has also introduced legislation to expand medical care for patients with cancer, diabetes, and Alzheimer’s disease. She has been a leader in the women’s movement and has given financial support and encouragement of women running for public office. Millennials have nicknamed her “Auntie Maxine,” and she has become a force within the Democratic Party. The hip-hop music community has praised her understanding of young people and their need to self-express. The Watts Skill Center was renamed the Maxine Waters Employment Preparation Center in her honor. The facility provides employment opportunities and education to those residing in the Watts, California area. The 50th NAACP Image Awards will take place on March 30, 2019, at 9 pm ET. Russell will be presenting the award.